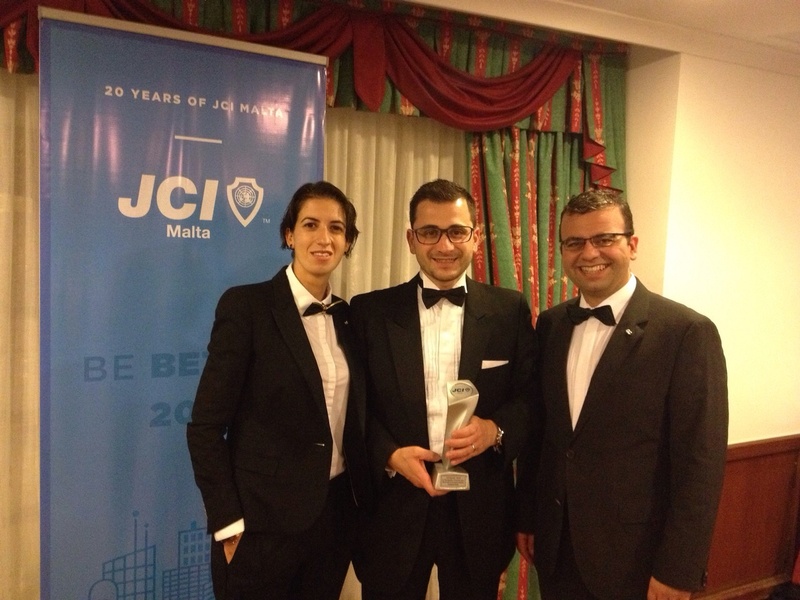 Jonathan Dalli, Founder and Managing Director at the Concept Stadium, was awarded for his Business and Entrepreneurial Accomplishment in the JCI Awards 2014, which took place during a Gala Dinner held on Friday 24th October at The Victoria Hotel in Sliema. In August, JCI announced that it was on the search for Malta’s outstanding young people – with a mission to prove that Maltese nominees could well be among the world’s top honourees. The winner enters into the chance to participate in the worlds Ten Outstanding Young Persons award, with a chance to win a round-trip to Japan to attend the 2015 JCI World Congress to collect the award. A panel of experts drawn from within the local economic and entrepreneurial community were tasked with finding these outstanding Maltese individuals. Following the award-winning ceremony, Jonathan Dalli said, “I am extremely proud and most of all humbled to receive this award. Having founded the Concept Stadium just 4 years ago along with my business partner, Jonathan Chetcuti, I am very pleased with the progress and growth my team and I have managed to achieve whilst remaining true to our promise of being boutique both in terms of service offering and client interface. My heartfelt thanks goes to the team for their invaluable support in this exciting journey. My appeal to young people is to strive to pursue their dreams and to join communities that encourage many young ambitious entrepreneurs such as JCI”. During the Gala Dinner, Jonathan delivered a brief presentation about the company particularly about the CSR initiatives undertaken by the company and its clients. A graduate from the University of Malta, Jonathan is passionate about Corporate Social Responsibility and its link to Brand Marketing, and in 2005 he wrote his thesis on the subject. Previous winners of The Outstanding Young Person Award include current Opposition Leader Dr. Simon Busuttil, as well as current Film Commissioner Engelbert Grech. Others include Dr. Juanita Brockdorff, Dr. Tonio Fenech, Eng. Dr. Nicholas Sammut and Dr. Alan Deidun.